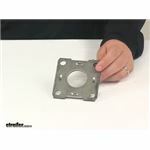 Call 800-298-8924 to order Redline accessories and parts part number 4-34 or order online at etrailer.com. Free expert support on all Redline products. Guaranteed Lowest Price and Fastest Shipping for Brake Mounting Flange for 1-3/4" Round Trailer Axles - 2K. Accessories and Parts reviews from real customers. Today we're going to be taking a look at a brake mounting flange for a 1 3/4 inch round trailer axle. This brake mounting flange gets welded to the end of the axle to provide a secure mounting place for a brake assembly. It does work with seven inch brake assemblies. Again it's designed for 1 3/4 inch round axles, or 2,000 pound axle, or typical 2,000 pound axle. The center hole is going to give us a diameter of 1.64 inches. The hole spacing, the distance that we have center on center between each of those holes is going to be the same at 2 7/8 of an inch, center on center. Overall measurement is a square design. It's going to measure 3 3/4 of an inch by 3 3/4. As you can see, it's a four molt hole design. That's going to do it for today's look at the brake mounting flange for a 1 3/4 inch round trailer axles. 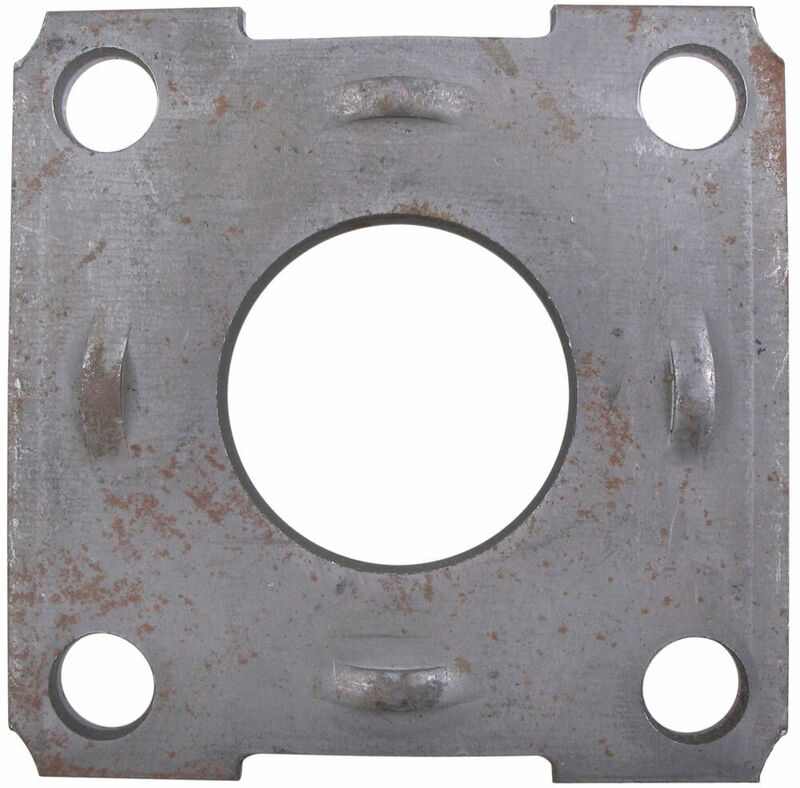 You are correct about needing to have a brake mounting flange like # 4-34 welded on correctly. Because it needs to be just right it should be installed by a qualified professional in a shop that works on trailers. We do not have specific instructions for installation, but a pro will know how to do it. From the research I did it looks like the Dexter number 9 axle is a 2,000 lb torflex axle. For a brake hub you would want the part # 8-257-5UC3-EZ. For assemblies you would need part # 23-48 and # 23-47. 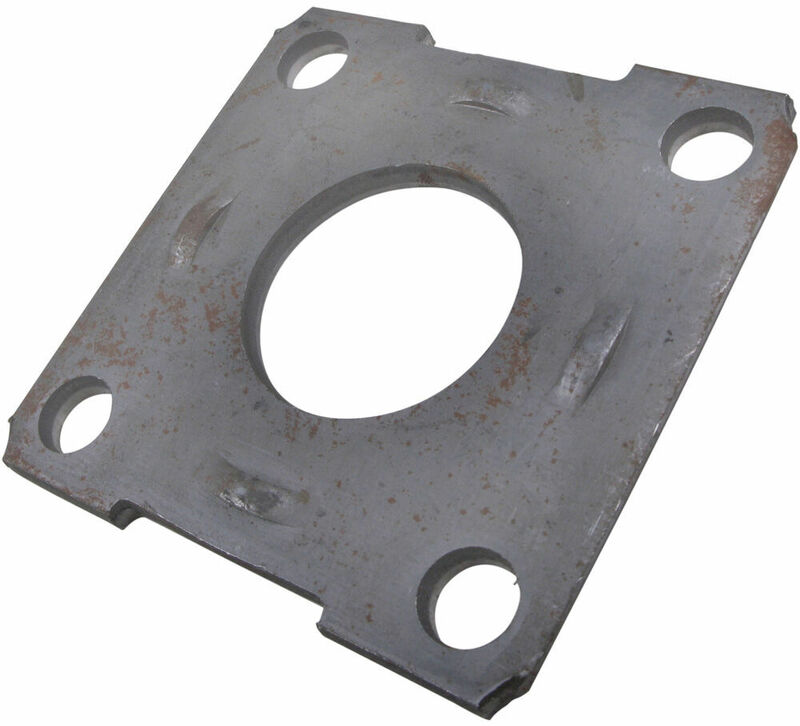 For flanges you will need part # 4-34 but these have to be professionally installed by someone with a jig setup for installing them as they have to be perfectly square. For a 2,000 lb axle, the Double Lip Grease Seal - ID 1.249" / OD 1.983" - Qty 1 # 34823 is the most standard size grease seal. You may want to use a digital caliper like # PTW80157 to confirm these dimensions match your hub and spindle. I've attached a video to assist.